Blog Quick Quotes: Quick Quotes and Want2Scrap with Cathy! Quick Quotes and Want2Scrap with Cathy! Hi Quick Quotes Fans! Cathy here today to host the blog for you. I have a layout to share created with the gorgeous new Dream Big Collection and some beautiful Want2Scrap embellishments...the perfect combination. 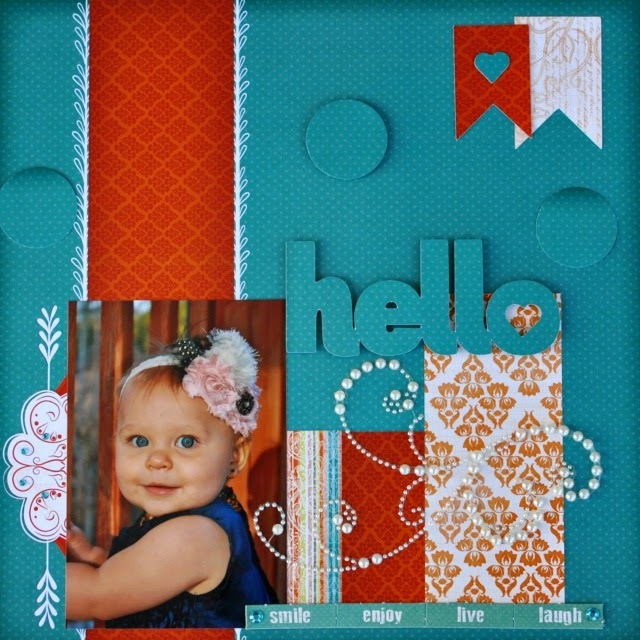 Really, this layout was no work at all, it fell together quickly with the beautiful photo and the patterned papers and embellishments did the rest of the work! The Want2Scrap embellishments bring out this little beauty's eyes and her pretty little head band! I loved using these pearls and rhinestones. The Want2Scrap Frilly Flourish Swirl was so easy to apply...no tangles whatsoever. Gotta love that!